Welcome to Must Read, where we single out the best stories from around the automotive universe and beyond. Today we have reports from Hemmings, Green Car Reports, and 8W. Stirling engines, while hypothetically awesome, have never really caught on as automotive powerplants, largely because they make much less power than a typical gasoline engine and weigh so much more. It's something NASA found out with its experimental Stirling engine program, and as we see from Michael Lamm's article for SIA #168, November 1998, it's something GM previously found out with its Calvair – a 1964 Corvair powered by a single-cylinder Stirling engine. Once in a while, we're blind-sided by responses to an article we publish—and we learn something in the process. On December 23, we wrote about ways that the all-new 2015 Ford F-150 full-size pickup truck might get better gas mileage. We learned that at least some of our readers seem to resent the very existence of full-size pickup trucks, and seemingly wish they would all just go away forever. Some say the perfect engine is the engine with optimal performance at every possible speed. 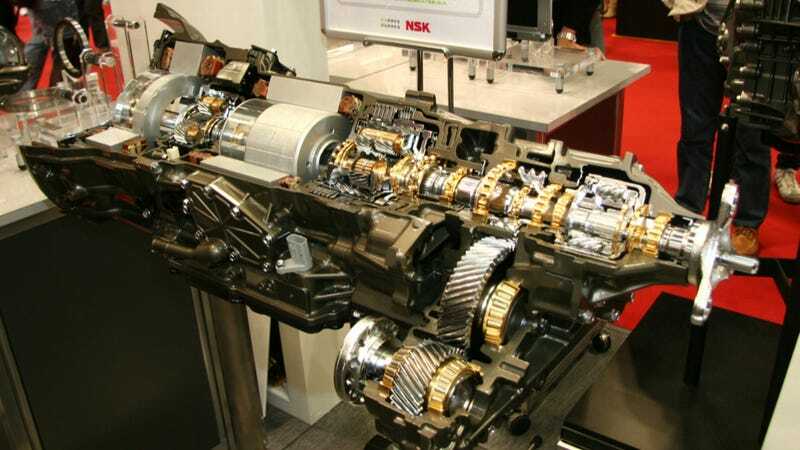 Lately, car manufacturers with a tradition in engine wizardry, such as Honda and BMW, have tried achieve this using the ingenious VTEC variable camshaft and valve timing system or the even more complex Geartronic system. But all these systems are approximations of the theoretic advantage that continuously variable transmissions (CVTs) have. So why didn't CVTs become de rigueur in racing? The answer to that is two-fold: at first, the CVT principle proved unworkable with big sporty engines. And when a quarter of a century later its inventor, Van Doorne's Transmissie, finally succeeded to create a bomb-proof CVT that could stick it out in the back of a Grand Prix car, it was banned.